The draft Act contemplates certain provisions conferring powers to the "National Council for Rejuvenation, Protection and Management of River Ganga" [National Ganga Council] to arrange to carry out or caused to be carried out impact assessment of certain projects and activities which affect or are likely to affect the flow of water in river Ganga, such as building barrages, deforestation on hill slopes, hydroelectric projects etc. In what is being hailed as a landmark decision by environmentalists, the Prime Minister's Office (PMO) has directed the Union Ministry of Environment and Forests (MoEF) to draft a legislation to save the Ganga and keep it free flowing. The PMO has asked MoEF to form an inter-ministerial committee, headed by the environment secretary, and finalise its members as soon as possible. 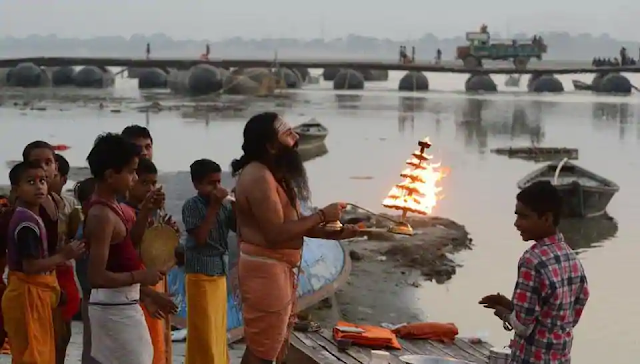 The members of the committee, with its secretariat as National Mission for Clean Ganga (NMCG), would be finalised by Friday, according to ministry sources. “We had been asking for a central legislation for conservation of the national river Ganga for a long time. Unlike India, the major rivers elsewhere had legislation enacted by their respective countries for their protection and conservation,” said Rajendra Singh, former member of the National Ganga River Basin Authority (NGRBA). The Ottawa river in Canada, the Hudson river in the US, the Thames river in the UK and the Brisbane river in Australia, all have legislation to protect them. But India has no such legislation to protect its rivers, he said. Singh said that on February 9, 2012, a few non-governmental members of NGBRA had submitted a draft of National River Ganga (Conservation and Management) Act, to the prime minister and had also given a copy of the draft to the erstwhile environment minister Jayanti Natarajan. The draft was formulated by Singh, Ravi Chopra, Virbhadra Mishra and R H Siddiqi. The draft Bill said that water from various sewage treatement plants (STPs) and effluent treatment plants (ETPs) should not flow into the Ganga and that the treated water should be used for horticulture and industrial purposes only. It also mooted that the blue, green and red category land on the river bed should be used only for purposes related to river conservation and that these areas should be “zero mining” zones. 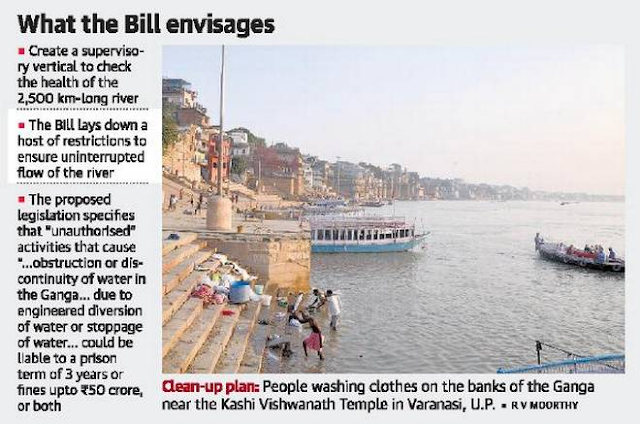 The most important provision in the bill was to maintain the environment and ecological flow of the river Ganga. The three members later resigned from the NGRBA in September 2013 to protest against the failure of the government to take concrete steps to save the Ganga. “Perhaps, the prime minister has now decided to look at the draft. It is indeed a positive step towards protecting the Ganga,” said Singh, adding that till date about Rs 1,500 crore has been wasted on various phases of Ganga Action Plan which proved a failure. The prime minister’s office also directed MoEF to consider creating a separate fund called the Ganga River Basin Management Fund. “We have suggestions from various quarters. Former NGBRA members had given their suggestions; a consortium of Indian Institutes of Technology (IITs) also had their own set of recommendations. It is too early to comment on what is going to be there in the Bill,” said a senior official of the ministry who did not wish to be quoted.